CamelWay machinery sicoma twin shaft concrete mixer is mainly used to build scientific research units, construction enterprise and concrete mixing. It has features of easy to operate, high mixing efficiency, small amount of residual, easy to clean and is the ideal laboratory concrete mixing equipment. But there are something users have tio pay attention. After unpacking the concrete mixer, check whether the reducer motor, mixing drum and bearing pedestal are damaged or not in transportation; whether the fastener is loose and tighten in time; the foundation is smooth concrete floor; when carrying the concrete mixer, it should be hung with ropes and attached to the rack. At present, the company has many different ready mixer for sale at low price. 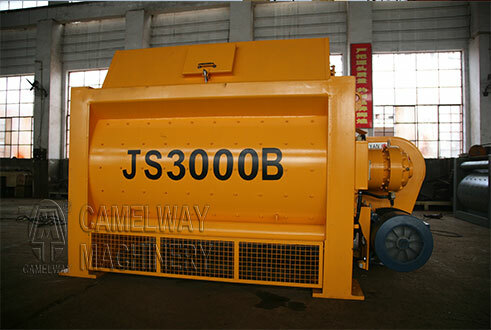 If you want to reduce the cost to import the concrete ready mixer from China, please feel free to contact us at any time. What is the JS750 forced concrete mixer price? How to control the cost of concrete mixing plant?